In 2001 Simon suggested that the two of us create, and present, a live science-based show at a West End theatre. I knew that this type of entertainment had been popular around the turn of the last century, but was initially sceptical about it working for a modern-day audience. However, Simon won me over and I agreed to give it a go. Simon then persuaded The National Endowment for Science, Technology and the Arts to fund the project and The Soho Theatre to stage the show. In the first half, Simon used mathematics to ‘prove’ that the Teletubbies are evil, undermined The Bible Code, and illustrated probability theory via gambling scams and bets. After the interval, I explored the psychology of deception with the help of magic tricks, optical illusions and a live lie detector. It was all decidedly low-tech and mostly depended on an overhead projector, a few acetates, and some marker pens! We opened in March 2002 and quickly sold-out. The reviewers were very kind, with The Evening Standard describing the show as ‘… a unique masterclass on the mind’ and What’s On saying that it was “…uplifting, thought-provoking and frequently hilarious.” In 2002 we also took the show to the Edinburgh Fringe Festival. In 2005 we staged a far more ambitious version of the show at the Soho Theatre. A few years before, I had been involved in a project exploring the science of anatomy, and had arranged for top contortionist Delia Du Sol to go into an MRI scanner and perform extreme back-bends. During Theatre of Science, we showed these scans to the audience as Delia bent her body into seemingly impossible shapes and then squeezed into a tiny perspex box. In addition, musician Sarah Angliss demonstrated the science behind various weird electronic instruments, and performed songs on a saw and a theremin! We wanted to end the show on a genuinely dangerous, science-based, stunt. HVFX – a company that makes high voltage electricity equipment – kindly supplied two huge Tesla coils capable of generating six-foot bolts of million-volt lightning across the stage. At the end of each show, either Simon or I entered a coffin-shaped cage and hoped that it would protect us against the force of the million-volt strikes. The stunt attracted lots of media attention and once again we quickly sold out. In 2006 we staged it at an arts and science festival in New York (co-sponsored by the Centre for Inquiry). Nowadays we are used to people enjoying an evening of science and comedy in the theatre, but back then lots of people were deeply skeptical about the idea. If we proved anything, it was that it’s possible attract a mainstream audience to a show about science. Anyway, I hoped you enjoyed reading about it all and huge thanks to everyone who worked so hard to make the project a success, including: Portia Smith, Delia Du Sol, Sarah Angliss, Stephen Wolf, Tracy King, Nick Field, HVFX, Austin Dacey, Jessica Brenner and Caroline Watt (who came up with the title for the show) and, of course…..Simon Singh! I enjoyed this writeup and also seeing the show live in NYC back in the day! 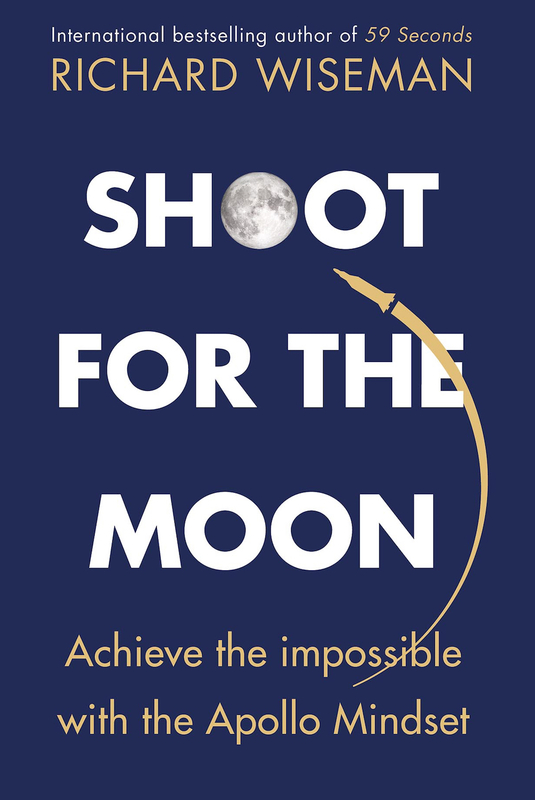 Next Shoot For The Moon!